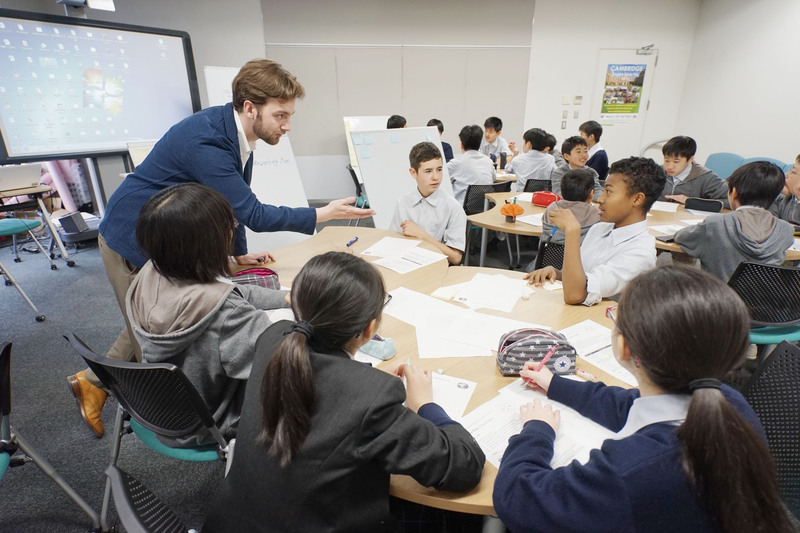 Asking the right questions: Alexander Dutson (left) teaches a class of returnee junior high school students at Kaetsu Ariake in Tokyo. That day's particular lesson was on personal identity and the children were discussing whether they think they remain the same person over time. HAMAMATSU, SHIZUOKA PREF. 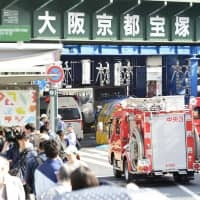 - If you’ve ever taught English at a Japanese school, you’ll likely be familiar with a certain kind of silence — pervasive and tinged with teenage ennui. Authors Alexander Dutson and James Hill want to recommend breaking the ice with philosophy. Their book, “Thinking Experiments,” presents ready-made lessons that use philosophical concepts to engage students — and incorporating them into lessons is easier than it sounds. The authors suggest that allowing students to prioritize questions over answers can help them develop the ability to think more deeply about what it is they believe in. Pedagogical movements such as active learning and critical thinking are gaining ground in schools nationwide. These methods encourage students to become more independent language learners and, according to Dutson and Hill, philosophy can help students unlearn the two main limitations that hinder them the most as members of society: the inability to openly criticize any aspect of their daily life due to social pressure, and the habit of rote memorization. Dutson’s interest in philosophy began when he was a teen growing up in England. 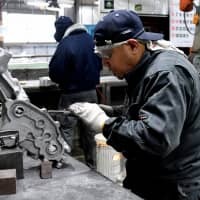 He worked as an assistant language teacher at a senior high school in Shiga Prefecture via The Japan Exchange and Teaching Programme from 2005 to 2007. 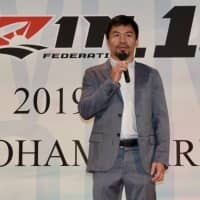 After JET, he attended graduate school at Cambridge University before returning here to work at Kaetsu Ariake High School in Tokyo for nine years. [Full disclosure: Dutson also worked as a subeditor at The Japan Times for a short period.] 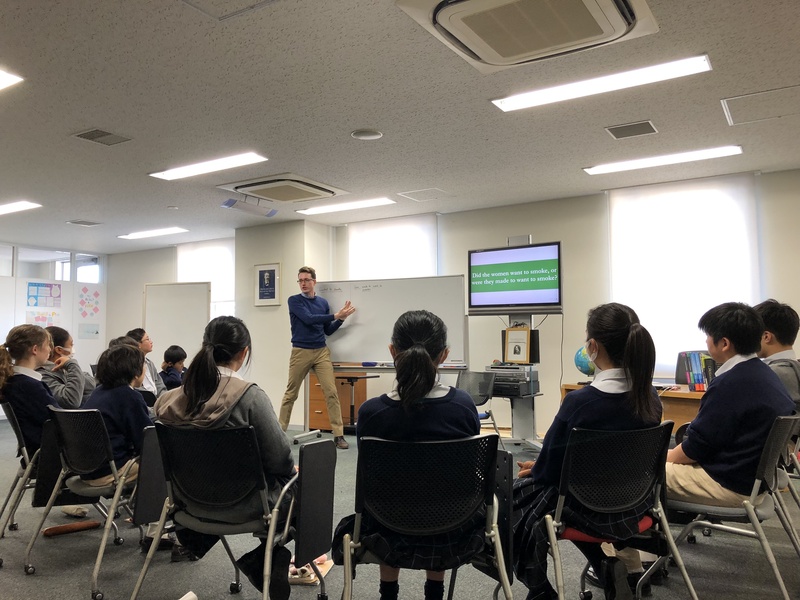 He’s now training to be an educational psychologist in the U.K.
At Kaetsu Ariake, Dutson taught philosophy to returnee students via that school’s theory of knowledge course. There, he encountered two main hurdles: finding philosophical questions that were relatable to students, and maintaining their focus during class discussions. He first tried using famous thought experiments from works by philosophers such as Bertrand Russell and Thomas Nagel to stimulate discussion, and encouraged students to use imagination and reason to seek their own understanding instead of the “right” answers. Dutson emphasizes that this is the additional element that not only motivates students, but is crucial to a healthy philosophical stance on the world. The joy of learning: James Hill teaches a class of returnee students. The author and educator says that it’s important to keep classes on philosophy fun so that students don’t develop a negative relationship with thinking. 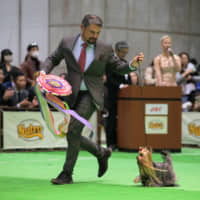 Hill arrived in Japan in 2015 and currently works at Kaetsu Ariake. He derived most of his teaching methodology from his experiences teaching at university back in Australia, but later adapted and modified the lessons to make them easier to understand for high school students. Each of the lessons that are included in “Thinking Experiments” were attempted in different classes by both authors. Like Dutson, Hill’s interest in philosophy began in adolescence. “I became fascinated with astronomy and the nature of the universe — how old it was, where it had come from and the fundamental structures of it all,” he says. In addition to Kaetsu Ariake, Hill is in his second year of facilitating a philosophy program at Kogakuin High School. Although the number of returnee students there tends to be high, their individual levels of language proficiency can differ greatly. Some are able to express themselves freely in English, while others need more explanations in Japanese to understand the concepts. “Anything that gets the students talking is good,” Hill says. “Philosophy is a good tool for them to find their unique voice. Philosophy in the high school classroom is not necessarily the same as teaching it in university. While university classes emphasize readings, Hill’s focus is on speaking and having a dialogue with the class. Speaking up: ‘Thinking Experiments’ authors Alexander Dutson and James Hill say that of the lessons in their book, the ones on charity, race and language are particularly popular. Hiroyuki Suzuki is the founder and CEO of GLICC (Global Learning for Innovative, Creative Community), a cram school in Tokyo that is offering an online course by Dutson and Hill. 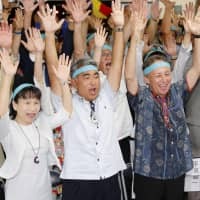 Suzuki’s “interest in philosophy connected with the general idea of bringing the Japanese educational system a little bit more into line with other parts of the world on a more global scale,” Hill says. 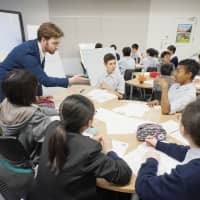 Kogakuin’s principal and vice-principal, Kuniyuki Hirakata and Kazuya Takahashi (who was shortlisted for the global teacher prize a few years ago), as well as educational consultant Hayato Honma, were also crucial in getting the project together and continue to support it. As for writing the book itself, Dutson and Hill would work on it after classes and in cafes, as most writers do. 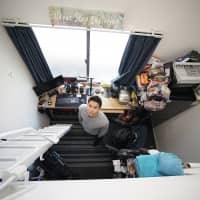 Their process also involved a slight change to their routines when, for a week in the summer of 2017, they rented an Airbnb that Dutson describes as a mountain cabin in “the middle of nowhere,” Nagano Prefecture, and cut themselves off from the world. They wrote and edited their book during the day, and relaxed with drinks at night. In the end, the pair came up with a book whose concepts aren’t new, but whose originality comes from its focus on Japan. The authors used a method of facilitation known as the PhiE method, which was developed by The Philosophy Foundation in London. “Philosophy begins with confusion,” Dutson says. “The productive aspect is that being confused is mildly discomforting. What a lot of people, particularly teachers, don’t acknowledge is that this is educationally productive. It precipitates a search for answers. 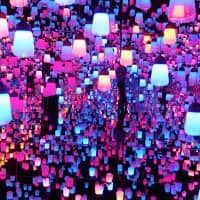 A common criticism I would hear from Japanese and non-Japanese teachers is that there is no point in philosophy because there is no right answer. Sometimes students say this as well. In a literal sense, that’s not true because philosophy is full of people trying to answer questions. Though all of the lessons featured in “Thinking Experiments” can be adaptable for any group, the authors say the most popular sections from the book are the ones on “Charity” (questioning the social duty of helping others), “Race & Belonging” (defining Japanese racial and cultural identity) and “Language & Thought” (thinking differently in different languages). Introductory chapters outline how philosophy classes differ from other subjects, and the book goes into detail on how to facilitate a lesson, phrase questions and guide student conversations productively. 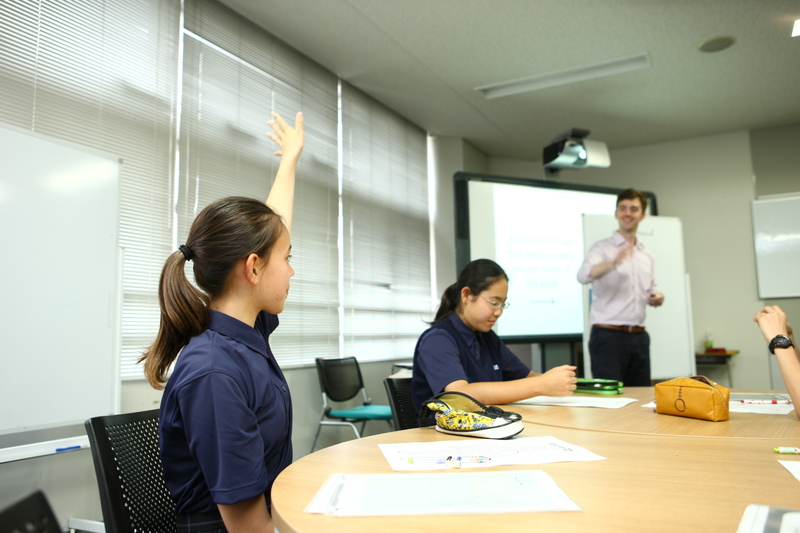 In teaching the lessons, Hill suggests that offering explanations in Japanese is beneficial for beginners and intermediate-level students so that they can fully grasp philosophical concepts and engage in more critical thinking outside of the classroom. He also starts his classes with the kinds of philosophical stories that are typical in introductory philosophy courses. “Thinking Experiments” is out via the Shutoken Moshi Center at www.syutoken-mosi.co.jp, and is available on Amazon. For more information on the course at GLICC, visit bit.ly/2FFhW02.